Spatial awareness is the ability to understand and interact with the environment around you. Whether it be avoiding obstacles when walking, reaching out to grab a pencil or determining left from right these are all examples of tasks that require spatial awareness. 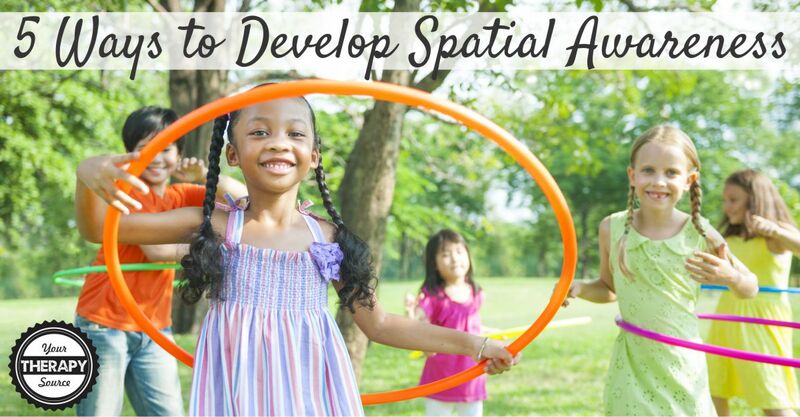 Developing the skills to express and understand spatial skills are the first step in understanding spatial ability and awareness such as math skills, visual perceptual skills, and body awareness. 1. Obstacle Courses: The ability to negotiate an obstacle course requires a significant amount of spatial awareness. Vary the courses grading them according to the child’s ability to move over, under and around objects. 2. Build and Create: Use Legos, blocks, and puzzles. Try Tangam puzzles. Try this free visual spatial puzzle crossing paths. Research has shown that parents who participated in guided block play with their children had significantly higher proportions of spatial talk. Guided block play consisted of playing with the blocks along with guided instructions for how to build different structures. Read more in a previous blog post on block play and spatial awareness. 3. Practice completing patterns. You could try Follow the Path or Patterns, Patterns, Patterns. 4. Movement Games: Participate in any type of movement games where children have to move around obstacles or friends. The ability to move around stationary objects is quite different than around moving objects which are unpredictable. If you need ideas, try 50 Sensory Motor Activities for Kids! Check out Which Way? to challenge motor planning and spatial awareness or Right or Left Games to practice right and left discrimination skills. 5. Provide verbal descriptions. 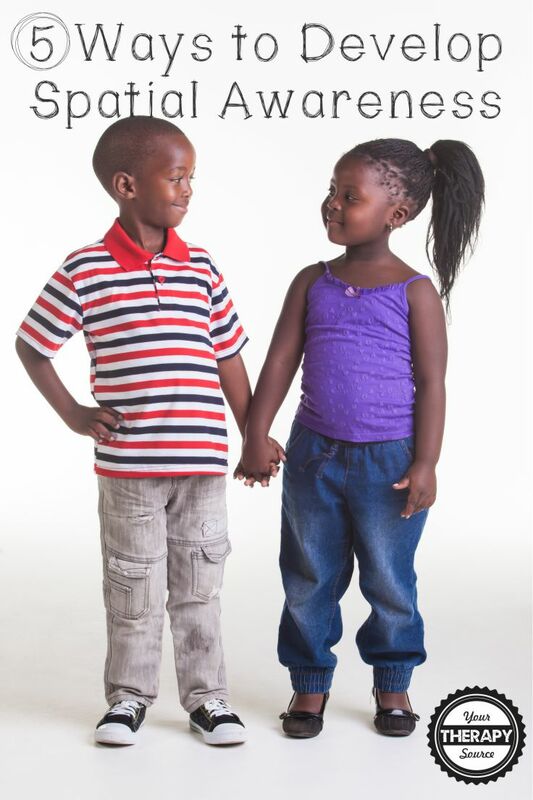 Offer many opportunities for children to hear descriptions of where they are or where objects are in relationship to each other. For example – “The pencil is on the right side of the desk” or “Let’s step over the log”. Play games that require children to follow directions – ie Be A Robot. Try worksheets where children how to follow directions of what colors to use for different letters or shapes ie Color Coding. 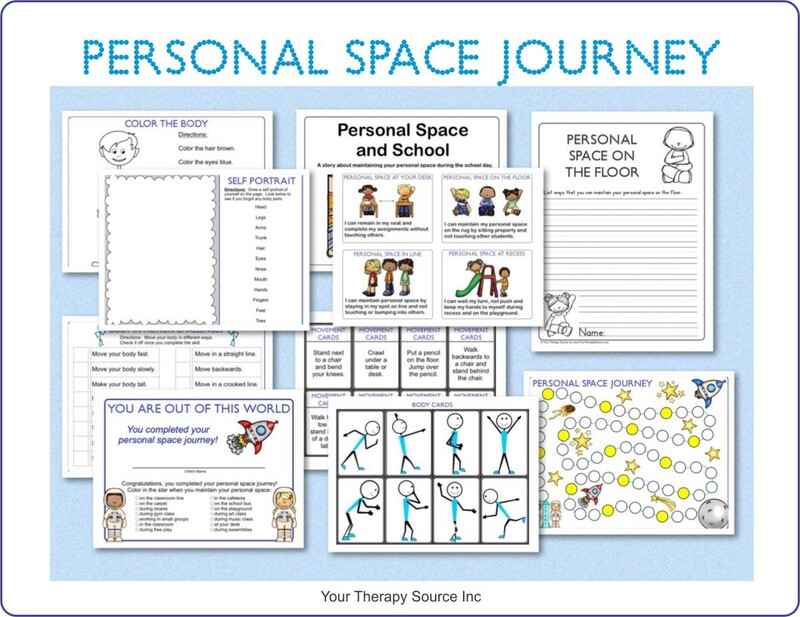 Personal Space Journey is a collection of activities to teach children about personal space. You can choose how to utilize the materials. Some children may benefit from reading the story first with follow up. Others may need to work on body awareness activities in order to maintain personal space. The activities are reproducible to use over and over again with all the children that you teach. FIND OUT MORE.